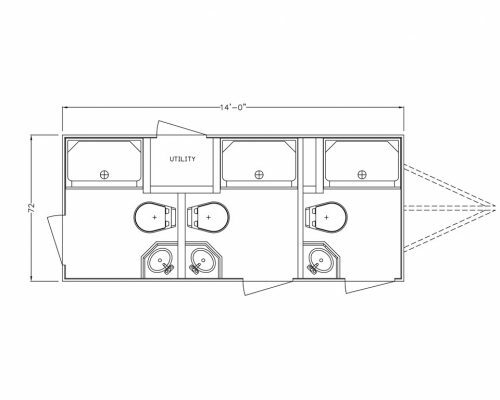 The Combination and Shower units by A Restroom Trailer Company are functional and durable built units with an appealing easy clean interior. 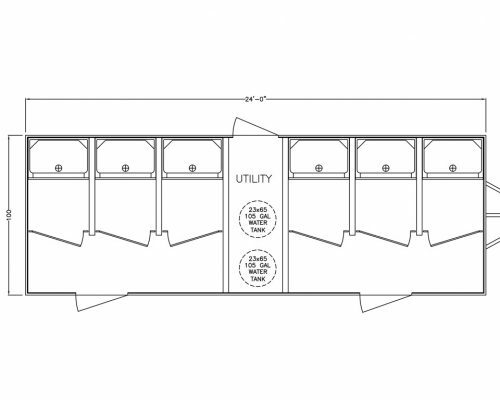 Our endless options available allow you to make each unit suitable for your needs. The Estate series feature maple cabinetry and trim, decorative wall finishes, laminate counter tops, stainless steel sinks, and wood grain linoleum flooring. 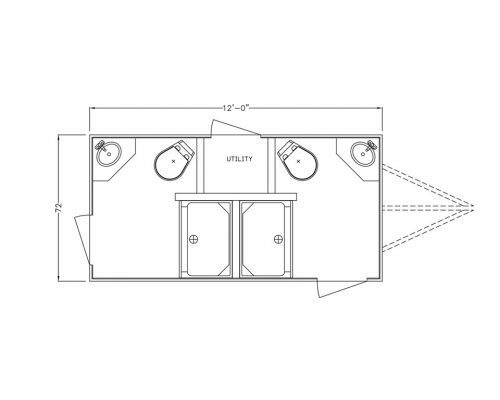 These Units are also available in our Fortress series which make it a strong, durable, and easy to clean unit, featuring custom aluminum cabinetry, stainless steel sinks, smooth fiberglass walls, and tile patterned linoleum flooring. Add a rubberized or spray lined floor to this unit to make it even more rugged for those commercial or industrial applications. Our endless options available allow you to make it suitable for your needs.